The SKU is one of the oldest Karate organisations in Britain and it has a long history for producing Karate excellence. 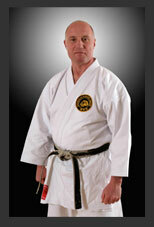 It is now headed by Sensei Stan Knighton 9th Dan. Click on the link below to find out more information about the longest running Shukokai association in the UK.